Primo Viaggio translates in English as primo – first and Viaggio – travel. 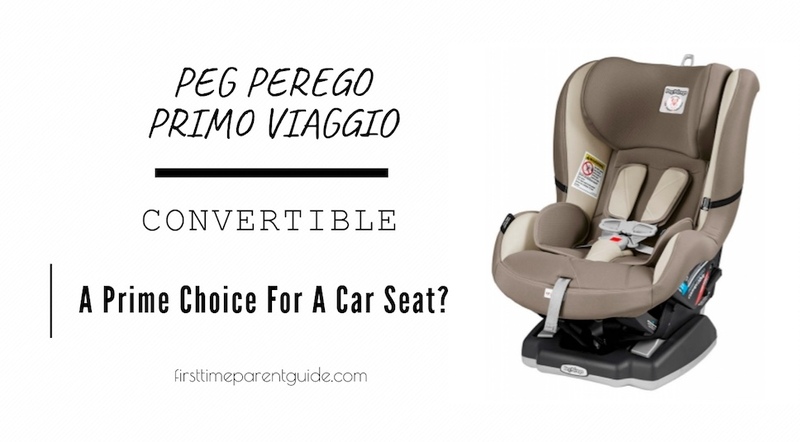 The Peg Perego Primo Viaggio Convertible’s choice of name is logical for marketing purposes. However, will this expensive seat be your primary choice for your child’s convertible car seat? The Viaggio convertible seat can be used with a newborn baby right from the hospital as long as they are at least 5 pounds. Although there is only one recline position, the baby can be positioned lying down. The seat should be reclined when used in rear-facing mode. Other car seats, although marketed as usable with infants, are literally upright. The Peg Perego seat can be used in the forward-facing mode until the child weighs 70 pounds. The 5 to 70 weight capacity includes the child’s weight in minimal clothing and not bulky fabrics such as jackets. You should never place children dressed in bulky clothes in any car seat. The Primo Viaggio seat might be too wide for a 3-across installation inside standard-size vehicles. 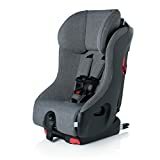 To install this car seat rear facing, you need to start with the tether connector strap secured around the track of the front seat. Making a slip knot with the connector strap would be necessary as you’ll see in this video on installing the Primo Viaggio with LATCH and tether. 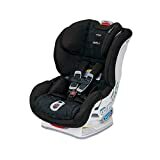 Also, looking at the feedback on Amazon for this car seat, there are reports about how they find this seat difficult to install with the seatbelt. 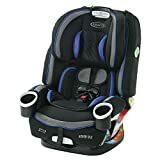 This car seat is compatible with the inflatable car seatbelts, but not with door mounted belts, and motorized shoulder belts. The Primo Convertible is FAA approved and certified for use in an airplane. It is also NHTSA certified for use in automobiles. 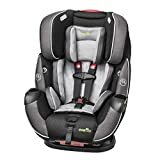 Positive reviews for this seat come from parents who have the unfortunate incident of vehicular accidents and they have the first-hand experience of how this car seat protected their babies from severe harm. 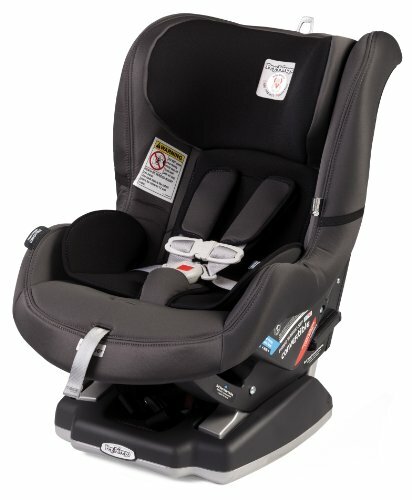 Notable safety features of this seat include the 10-position side impact protection (SIP) for spine, neck, and head. The 7 lower settings are ideal for use in rear-facing mode. It has energy absorbing foam, Expanded Poly Styrene (EPS), in its shell and also in the head panel. This EPS absorbs the energy and reduces the force in a crash. Apart from this, the EPS also offers thermal insulation that is especially favorable for long rides. Aside from the EPS, it also has this Shock Absorbing Foam Element (SAFE) block underneath the shell. It would get deformed in the event of a crash so the compression load on the chest and shoulders of the child passenger would be reduced. The back plate is made of steel to support the spine, neck, and head of the child. All these features contribute to the safety of children who actually lived through a car accident. I can imagine how thankful their parents are that their kids only got some minor bruises after the incidents. On the downside, some parents say that the seat buckles can easily be fastened and unfastened – even by kids! Take note that you might find it on the heavy side with its 21 pounds weight. 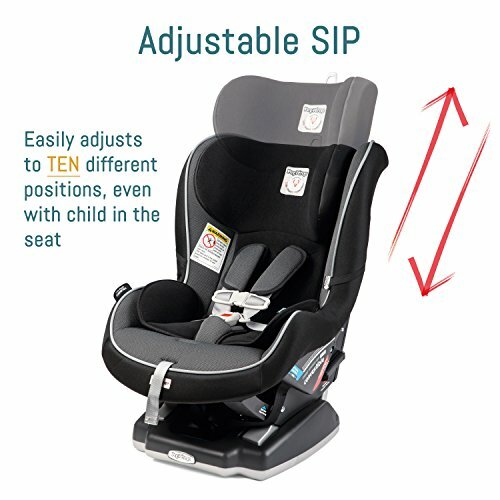 Positive reviews of this product include how easy it is to change the Side Impact Protection position even while the child is sitting. This is a great feature for parents who do not like to re-thread the harness. If you ever decide to buy this product, look at the sticker labels under the fabric close to the feet of the child. You can see there the year it was manufactured. Take note of this because the car seat expires seven years from the year of manufacturing. This can be a deciding factor for parents who like to maximize every product they purchase for their children. 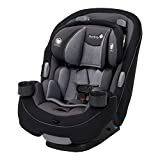 While this Primo Viaggio Convertible can be handed down to younger siblings in the family, there are other seats out in the market with longer expiration of 9 to 10 years. There are certainly more color options for this seat than other products out there. Yet, do not be too hasty in picking your chosen color because you might be paying more without being aware of it. These options are not just for the color, but also for the texture and design of the fabric. 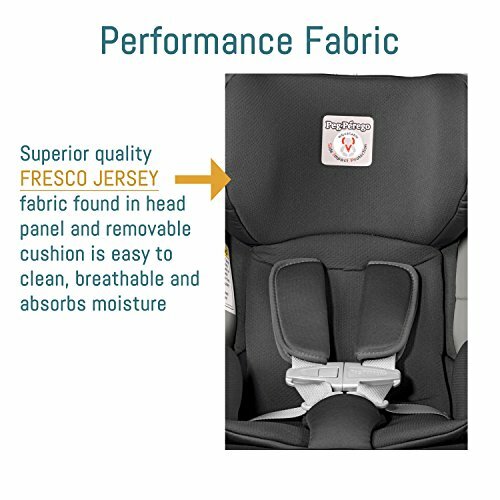 Primo Viaggio is said to be made of Fresco Jersey fabric to keep children occupants comfortable and cool. However, the Paloma variant is leather-like, and it costs about $50 more than other options. While the cover can be removed and washed, there are still reports about how they still smell something foul from the seat even after washing. 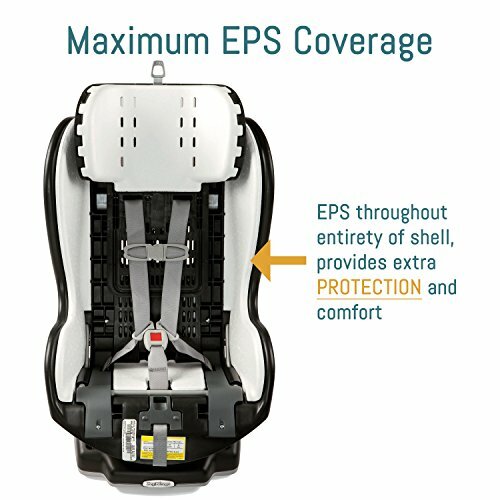 This is a car seat that parents will prefer if they are looking for a product whose parts can be replaced. If the shoulder pads had gone missing, or if the padding/cushion has been terribly soiled, there are approved replacement parts that can be bought. Moreover, if the shoulder pads for this convertible seat are too big or long for a child, the smaller shoulder pads for >Primo Viaggio 4/35 could apparently be used. 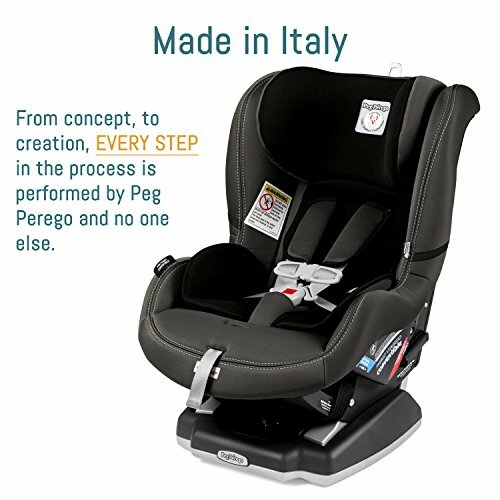 The rear-facing LATCH installation is the easiest and safest way to install the Peg Perego Primo Viaggio Convertible. Since the LATCH can only be used until the child weighs 40 pounds, the purpose of having a 70-pound limit is somehow rendered unusable. Unless, of course, you can successfully do a seat belt install using a locking clip which, according to the car seat lady, is a two-person job. That’s probably fine. Just make sure to have the seat installed safely with a seatbelt and you might just be able to use the seat until its promised height and weight limits. 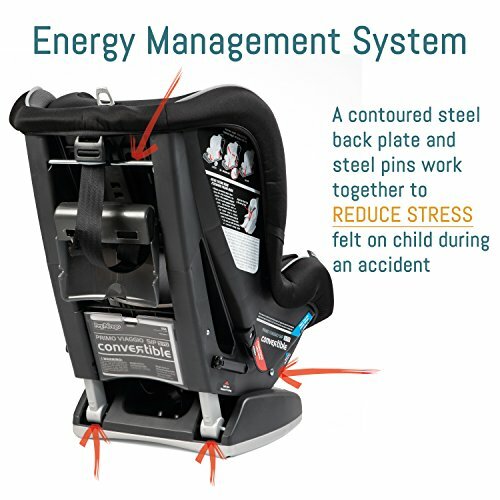 This car seat has been proven to have stood up to a number of real-world collisions where the parents have shared photos of how badly their vehicles were damaged after the accident, yet their kids only have bruises on their shoulders. 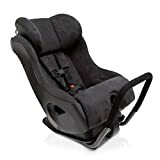 Since safety is the primary goal of using a car seat, I think that not only the steel frame, the side impact protection, and the foam should comprise the child’s protection while traveling in the car. 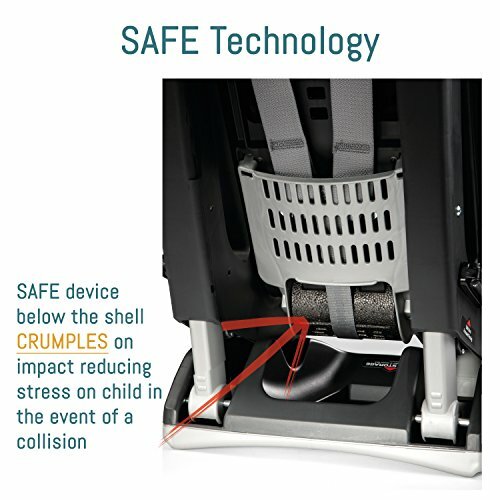 I feel that the safety of the child is not 100% guaranteed if other components of the seat were not that carefully thought of. 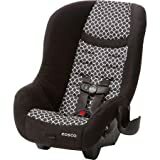 While rarely reported in some reviews, it was still noted that the chest clip and safety straps of this product can be easily removed or pulled out by the young passenger. Children will be children and they will most likely tug any constraint in order to get out of it. 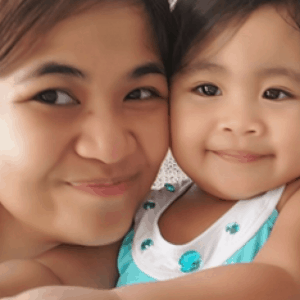 Thus, it made me realize that those safety features might not be useful after all if the child can easily get out of the seat on their own while the traveling and even long before any crash could occur. 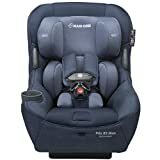 Maybe I could do something to mend these issues, but this makes me feel that for the price, it would not be worth it so this will not be my primary choice for a child restraint system. I highly suggest that you read the parents’ feedbacks about this seat to help you decide further.